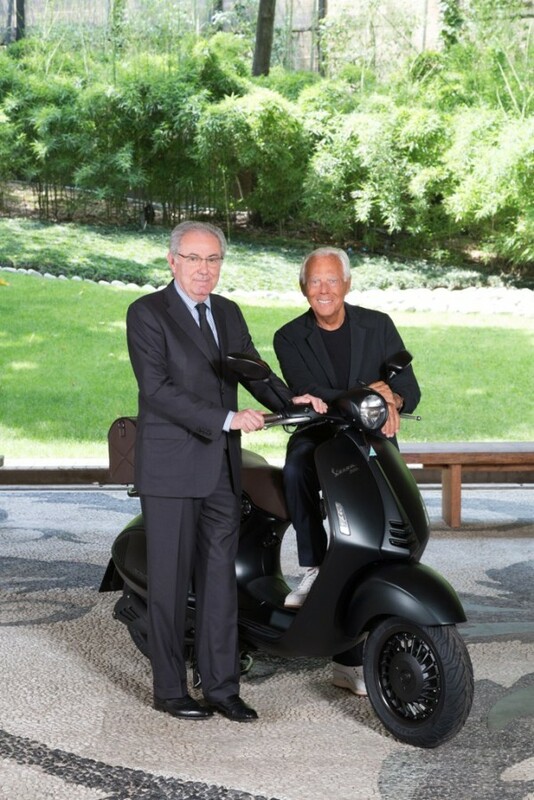 The new Vespa 946 Emporio Armani is the result of a collaboration which came about to mark the 130th anniversary of Vespa’s parent, the Piaggio Group, and the 40th anniversary of the Giorgio Armani label. Meanwhile the number 946 refers to 1946, the year the Vespa, the world’s first moped scooter, was unveiled. Like the clothing lines associated with the Emporio Armani label, the bike’s external appearance is chic and subtle. The color palette is a mix of grey and green earth tones and thanks to a clever galvanizing treatment the body panels take on a satin yet solid color finish that allows the green to shine through the darker grey tones. Other external touches that mark the bike out as a special edition include the Emporio Armani Eagle logo above the headlight and subtle Armani branding on the sides. The scooter itself is based externally on the classic Vespa, but its internal components are noticeably up to date. The engine is four-stroke, not two-stroke, and has aluminum cylinder heads. The front wheel has a double disc brake, the vehicle is smartphone compatible via Bluetooth, it’s got a digital dash panel and it comes with ABS as standard. The saddle is premium stitched brown leather and Armani has a range of compatible clothing planned, news about which will be made public at a later date. Likewise, Piaggio has confirmed that when it officially launches, the bike will be offered with a choice of tie-ins such as panniers. As for the scooter itself, it is being produced in ‘strictly limited numbers’, each of which will be individually numbered. 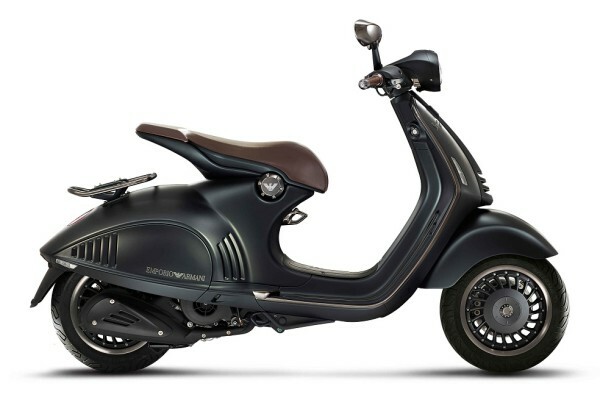 Expect the Vespa 946 Emporio Armani to retail for €13,000 ($14,595) without accessories. Vespa USA, America’s number one scooter company, has now brought the much awaited 946 Emporio Armani scooter to its soil. Vespa debuted its 946 Emporio Armani scooter in the United States after launching it in Europe in June and Asian markets in September. The U.S. launch of the Vespa 946 Emporio Armani was recently marked with an event at Emporio Armani store in SoHo, on 410 West Broadway, New York. 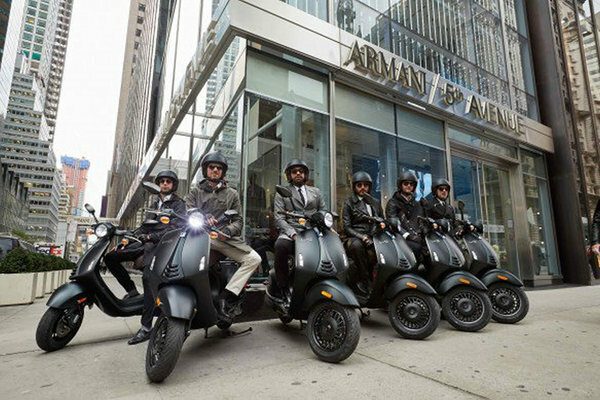 The Vespa 946 Emporio Armani is made available from Piaggio Group Americas dealers in major cities, including New York City, Miami, Dallas, Los Angeles, San Francisco and Chicago. The new scooter has already been presented to customers and potential customers in the Piaggio Group’s new multibrand store in New York. After the Big Apple launch, Vespa 946 Emporio Armani is headed East to Beijing.